What should I do in my IWB? 1. Use high-quality digital camera with at least 8 megapixels. 3. If photographing a regular, rectangular drawing or painting, make sure the rectangle is not distorted when you take the picture. If there is a lot of distortion, you will have problems cropping your image later. 4. If photographing a sculpture, take photos from multiple angles. You may want to make a gif or movie file to show your piece from multiple views. 1. Use the crop tool to remove the background from your image. 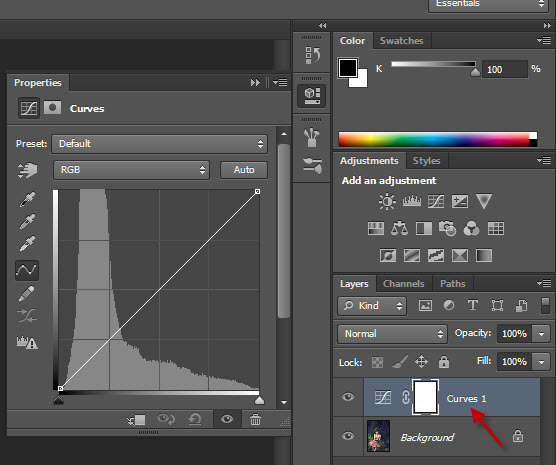 Then, use “curves” and “brightness/contrast” to correct your image. 3. When you’re ready to save, go to “File” –> “save as” and save it as a .JPEG.